Stainless Steel Round Bars are produced from hot rolled billets, which are in turn produced by melting steel scrap or other forms of raw materials in a EAF. Round stainless steel bars are tested both chemically and mechanically as per the standard specifications. Stainless steel round bars are one of the core elements of manufacturing industries these days. Due to its versatile applications, stainless steel round bars are used in a variety of industries, such as shipbuilding, aerospace, automotive, textile, paper and pulp, oil & gas, fabrication, power distribution, cement, heavy earth moving equipment and construction. 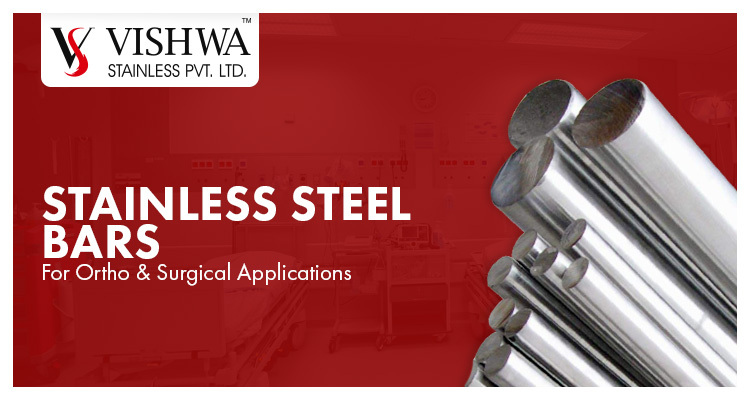 Vishwa Stainless Pvt. Ltd. is one of the leading Stainless Steel Round Bars manufacturers in India, catering to all industrial applications. What are the Various Types of Steel Bars Available? 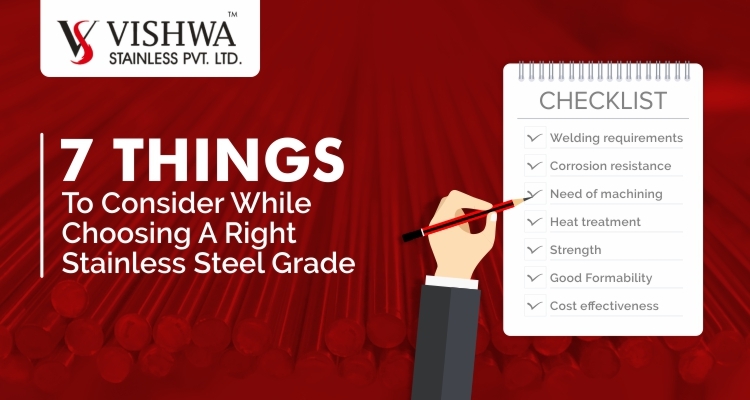 A comprehensive range of hot rolled steel round bars can be manufactured in Mild Steel, High Yield Steel, Carbon Steel, and Low Alloy Steel grades. Stainless steel Round Bars are available in a wide variety of sizes, and are widely used in engineering, residential construction, mining infrastructure, manufacturing. Other common shapes are rectangular bar, square bar, and hexagonal bar. 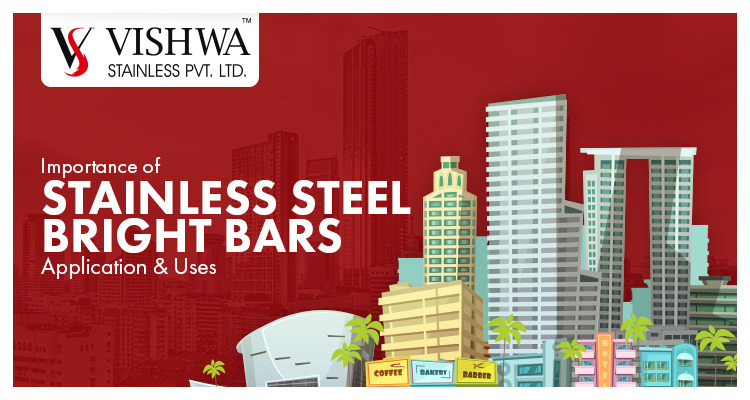 We use the in house state of the art technology, heat treatment facilities and quality control, we produce Stainless Steel Round Bars in all sizes as per client requirement. We manufacture round bars of ferritic, austenitic and martensitic stainless steel conforming to AISI 303, 304, 304L, 310, 316, 316L, 316Ti, 321, 403, 409, 410, 416, 420, 430, 430F, 430LBN, 431& 630, 2205 as well as ASTM A276. As per industry requirements we supply round bars that are Cold Drawn, Centre Less Ground & Polished, Peeled & Smooth Turned or Rough Turned. Appropriate heat treatments such as solution annealing, strain hardening, magnetic annealing quenching, tempering are carried out with strict compliance to codes and standards. Custom aged heat treatments are also carried out for martensitic Stainless Steel Round Bars. ASTM A276 Stainless Steel Round bars are of great importance in producing machinery products such as valves, bearings and gears. They add significant value to manufacturers of machined components, surgical and medical parts, pump shafts, fasteners, studs, bolts, pins and other daily use equipment. We select the ingot size most suited to individual customer requirements, resulting in sound, reliable round bars. We ensure maintenance of optimum levels of reduction ratios and preserve a consistent diameter along the full length of the stainless steel round bars to boost the ability to cut parts to exacting weight controls. Longer lengths of round bars also play a key role in reducing material handling besides raising the overall productivity. 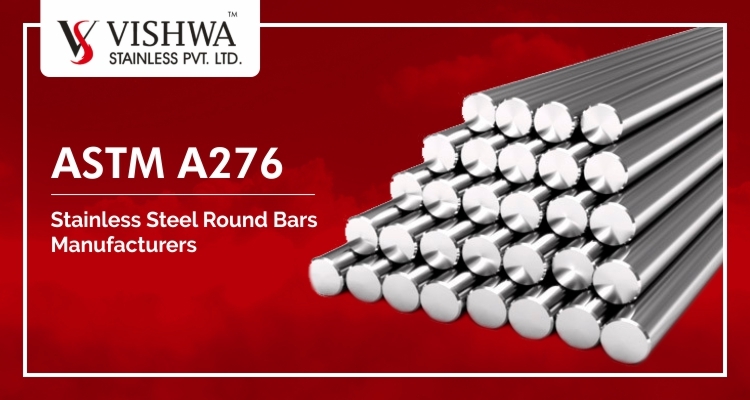 Our manufactured ASTM A276 Stainless Steel Round Bars come in various thickness and dimensions customized as per the requirement and it ensured that they undergo rigorous testing and inspection, thus ensuring a negligible defect record. They are manufactured and tested as per globally approved quality standards under strict supervision of highly qualified experts. The offered round Bars fulfill the most critical demand of reputed industrial users worldwide.